Item # 313376 Stash Points: 2,595 (?) This is the number of points you get in The Zumiez Stash for purchasing this item. Stash points are redeemable for exclusive rewards only available to Zumiez Stash members. To redeem your points check out the rewards catalog on thestash.zumiez.com. 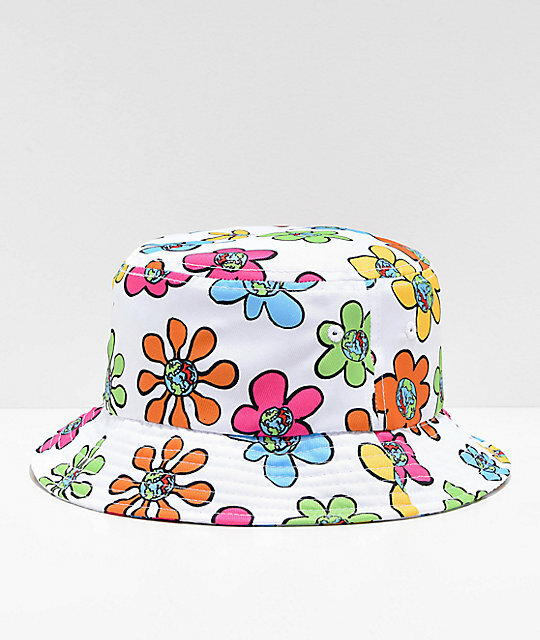 Have fun creating new looks with Teenage's Bored Skies White Bucket Hat. 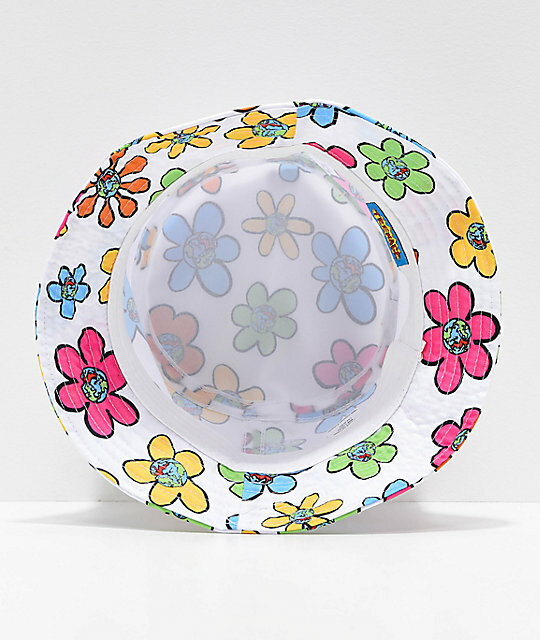 This lightweight accessory features a quirky allover flower print pattern that incorporates a shattered globe image located at the center of each colorful design. Bored Skies White Bucket Hat from Teenage. Screen-printed flower/globe graphic print pattern throughout.